Yesterday we reported that big news on the European transfer market. 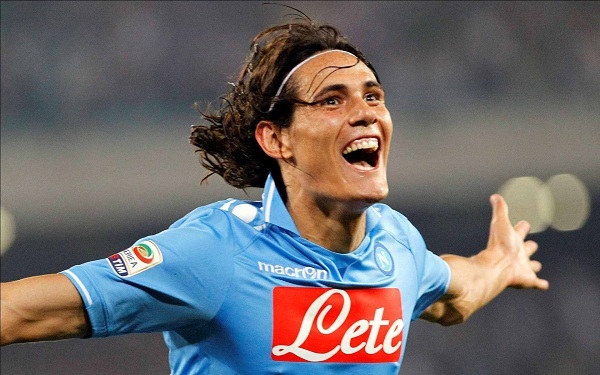 PSG were reported to have added a huge offer for Edinson Cavani, 26. Today, Gazzetta dello Sport says the striker is now ready for the French capital club. – I like Cavani, says Laurent Blanc according to Espn. In Paris, people will most likely be really happy today. If you take part of the Italian magazine you can read that PSG met Cavanis buyout clause in the contract with Napoli, which is around 55 million euro. PSG’s sporting director was in Italy yesterday and visited Napoli president Aurelio De Laurentiis. After that it went fast. During a meeting between Leonardo, De Laurentiis and the player’s agent, Pierpaolo Triultzi, the deal was created according to Gazzetta dello Sport. But De Laurentiis still made a last attempt to create a bidding war. According to the Italian newspaper he tried to call Real Madrid and give them an ultimatum. 61 million and Cavani would be moving to the Spanish capital instead. Real said no. Cavani is said to agree to an annual salary of 87 million, with the French capital club. According to Sky Italia Napoli wants PSG to also covers the sum Cavanis former club, Palermo, will have for a potential sale, around 6 million Euro. – I like Cavani, I like his style. If this player is part of my PSG next season, I would be very happy, said the new PSG coach Laurent Blanc yesterday during the club’s pre-season camp in Austria, where Zlatan Ibrahimovic does not attend. Gazzetta dello Sport says that Zlatan Ibrahimovic and Helena Seger are dissatisfied with life in Paris, but that Zlatan had not become part of a swap deal. This entry was posted in Transfer Rumors and tagged Aurelio De Laurentiis, edinson cavani, Gazzetta dello Sport, Laurent Blanc, Napoli, Pierpaolo Triultzi, Real Madrid on July 6, 2013 by Johan Bengtsson.